Some like it hot and some like it sweet. 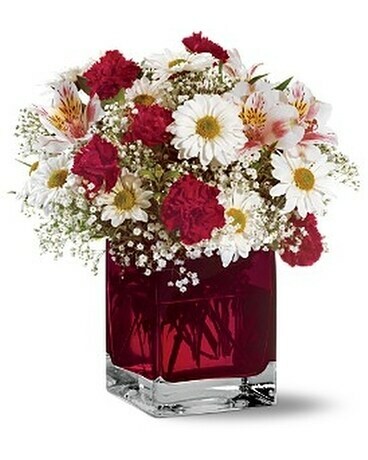 For those who like it a little of both, send this sizzling red cube vase filled with a lovely, old-fashioned bouquet. Your love will never be gone with the wind.